Hi Hair Friends! In the last few posts, I let you guys in on a hair dilemma I am having. The dilemma is that I am experiencing some thinning in the back of my head on the hairline. I was not alarmed at first until I noticed a thinned area in the middle of my hair. The photo where my hair was on the triangle was taken in August 2016 and the photo where my hair is on the square was taken 12/11/16 and there is visible thinning at the nape and in the middle of my hair. I am currently not taking any medication but I am experiencing stress on the job as well as graduate school which can contribute to hair loss. Also, poor maintenance and upkeep can also promote hair loss. I am no stranger to thinning edges. 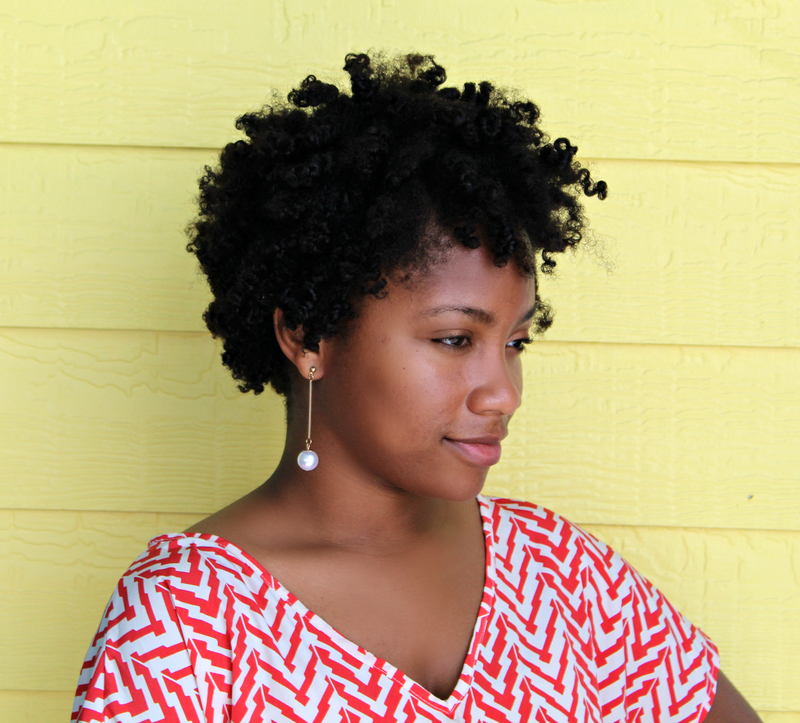 It is quite hard to keep up a healthy hair regimen when I'm so busy at times (it's hard to keep up with my hair period lol). For the entire month of December, I sprung into action by taking multi-vitamins daily, incorporating scalp massages, deep conditioning, and a few other things. To my surprise, at the end of the month, my hair had grown 1/2 an inch and my hair looked so much healthier. Also, I got a trim that sort of hid the the thinning in the middle of my hair but it is still somewhat of an issue. 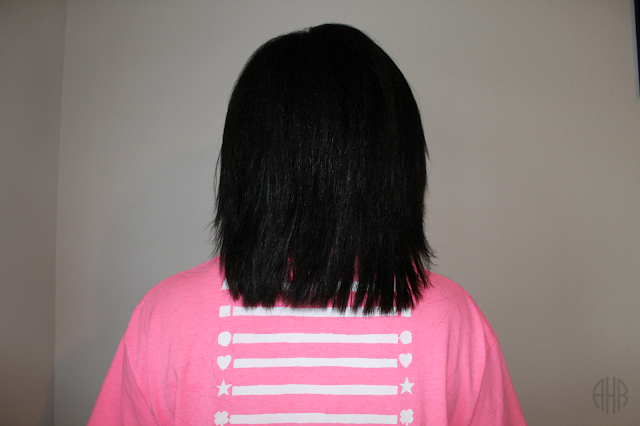 This is how my hair looked with a fresh trim and freshly flat-ironed hair. This photo was taken 12/23/16. This photo below was from my length check taken 1/1/17. 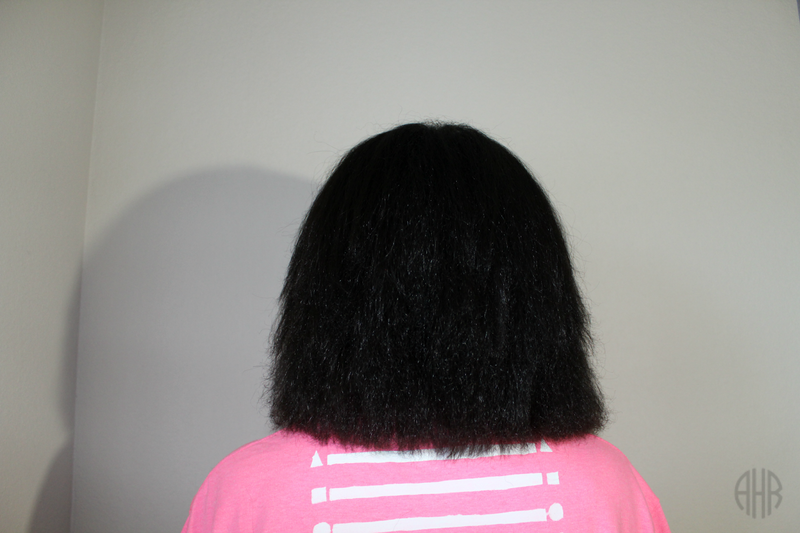 (Check out the length check post here!) 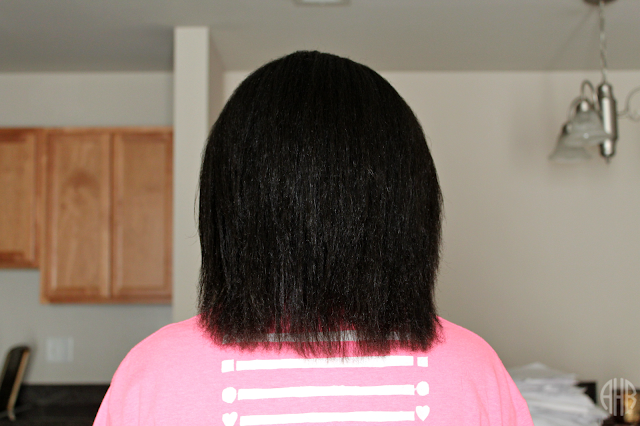 My hair was weighed down with Shea Moisture Argan Oil but my ends look healthier. and my strands are shiner. However, my middle area is still a bit see through. 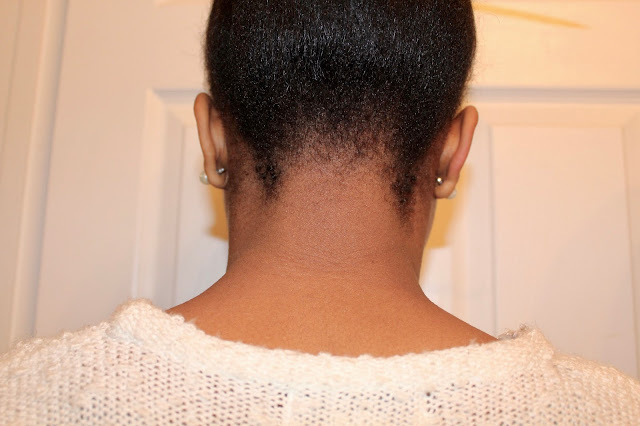 Here is an up to date photo of my nape area. 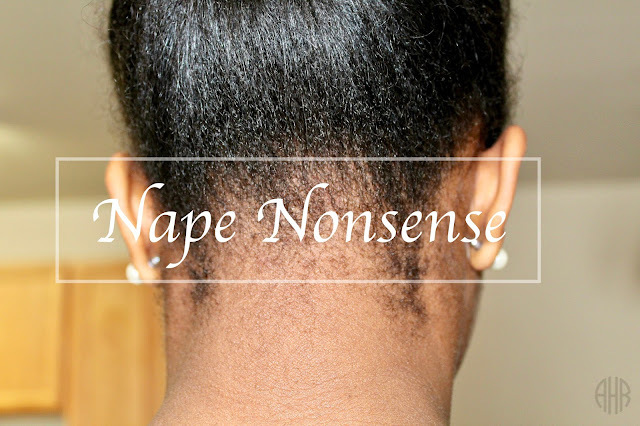 If you look at my nape HERE you will see a little growth. I will be posting periodically on my nape nonsense progress. Stay tuned. If you have any suggestions or remedies for thinning edges/nape, please let me know in the comments below.